To Forgewood campsite on the Eridge Park estate for our first camp of the year. We pitched in a small clearing within the borders of a wood. The tree surgeon had clipped back ominous overhead branches or ‘widowmakers’ as they are called by old woodsmen. Dappled light spread over bluebells and caterpillars; the woodland management is as much for the benefit of butterflies as it is for campers. Thomas Hiram Holding, author of The Camper’s Handbook, warned campers away from woods and forests as, if overgrown, they can be damp, dark and infested places. None of these complaints apply to Forgewood. The wood insulated our camp from the pre-Easter chill, not a spot of rain fell over the long weekend, and when we struck camp the groundsheet was unexpectedly dry. 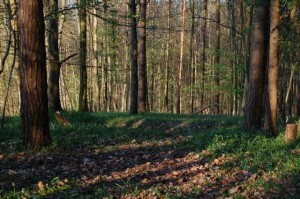 The advantage of camping in a wood is a sense of privacy and enclosure, and a contemplative atmosphere. A wood is also a church. A pagan church. The tall pines and beech make a vaulted ceiling, the light scattered by the leaves resembles the coloured patterns thrown by a stained glass window, and there is serenity standing amongst the cool indifference of trees. In this church, the campfire is the altar, the heart of our veneration. 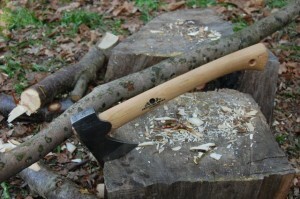 Over the winter, I had acquired more woodcraft gear with which to perfect my campfire craft: a Gränsfors Bruks hatchet, Opinel pocket saw and a Finnish muurikka. The hatchet and saw turned deadwood into kindling, and the campfire turned the muurikka into a sizzling skillet, a cross between a wok and a large frying pan set on three short legs providing maximum cooking area for minimum fuel to feed a hungry family. Over the weekend, Cath cooked bacon and pancakes, pork chops, apples and gnocchi, and fried breakfast for five. 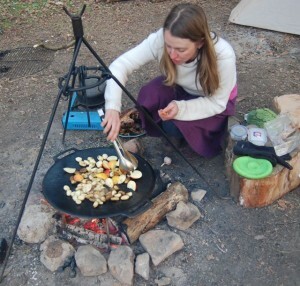 Pancakes cooked in pork fat over the campfire then drizzled with maple syrup is a classic American dish that derives from the epicures of the American wilderness – the camp cookery of Horace Kephart of the Smoky Mountains or Nessmuk of the Adirondacks. We did not explore much at Forgewood; rumours of ice caves and a ruined castle went unconfirmed. We took the two small children out for a woodland stroll and surprised a deer that bolted away with a flash of a white tail. Over three days, we barely left camp. Camp is a place of minor tasks, with wood to chop, food to prepare, children to dust down and local venison to stew. Rather than explore the woods, I appreciated them with a cup of tea in my hand: the birdsong that always sounds to me like a data stream; the fat atoms of blossom tumbling idly through the spokes of a pine tree; a game of rounders in the adjacent meadow, and boyish shouts of ‘out’, ‘out, ‘out’; a robin impudent on a branch; the distant rifle shots of a deer hunt: and then dusk; the tea in my mug replaced with beer; the meadow passive and misty as the sun set over it with such anger I was concerned for its blood pressure; in its place, an enormous yellow moon rose between coppiced trunks and spread reassuring bands of light across the meadow; estranged owls hooted late night booty calls and dark trees twitched their fibres – the wood seethed like a nervous system and I was drunk and alive – and then, at last, I called it a night, doused the campfire, and instantly vanished in a blow-out of steam, the clean scent of water vapour rushing around my face and into my nostrils like dry ice in a nightclub. 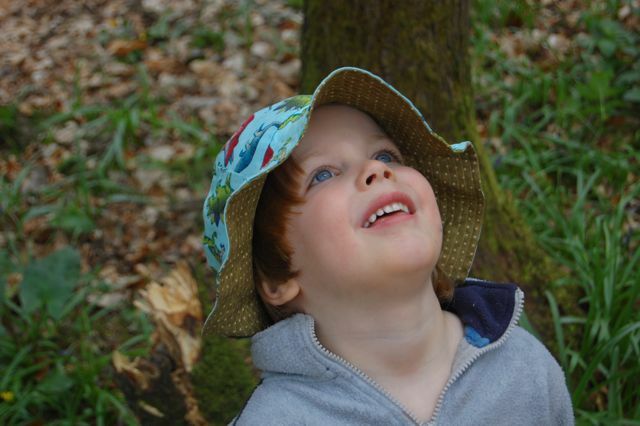 At Forgewood, woodland solitude is offset by a more sociable camp atmosphere in the meadows. A commitment to ‘real camping’ means no caravans and no electric hook ups, and adequate facilities. Forgewood is situated on part of the estate of the Marquess of Abergavenny. The question that I have been puzzling over – how could England offer more of the wild camping that Scotland enjoys by law – could find an answer in the aristocracy and other major landowners. The new generation of real campers are prepared to pay more for a nightly pitch than previous ones, yet expect less in the way of facilities. What we are looking for and paying for is a raw experience with campfires and clean running water. Some landowners and aristocrats have experimented with festivals as a way of making their land pay – but it takes considerable experience and patience to build a successful festival, as Peregrine and Catherine St Germans have proved at Port Eliot. The investment into a large woodland campsite seems less risky than the one big outlay of a festival; now that campers do not demand electrification and tarmac roads to all their pitches, is there an emerging business model in the cultural shift to campfire camping for big landowners? For the rest of us, it’s unlikely that we could ever afford the sheer expanse of land required for a more solitary camping experience. The need to maximise the return on every mortgaged acre leads to the depressing car park campsite that is all too familiar in the UK. For landowners seeking to balance financial return with the status of a custodian of the countryside, the likes of Forgewood promise financial return without excessive development. Protecting the forests requires managed access: when people have the opportunity to experience these places, they become advocates for their preservation. As camping returns to the spirit of its origins, the camper – historically treated as a nuisance – could be the solution to investing in and protecting the nation’s woodland.